Regular exterior cleaning and powerwashing is vitally important to the upkeep of your residential or commercial investment. From windows to siding, roofs to gutters, walkways to driveways and everything in-between, trust all of your exterior pressure washing needs to Agent Clean. Maintain the beauty and value of your most important investment with regular exterior cleaning services. Learn what Agent Clean can do to purify and protect the exterior surfaces of your home. Regular commercial exterior cleaning lets your customers know that you take pride in your business. 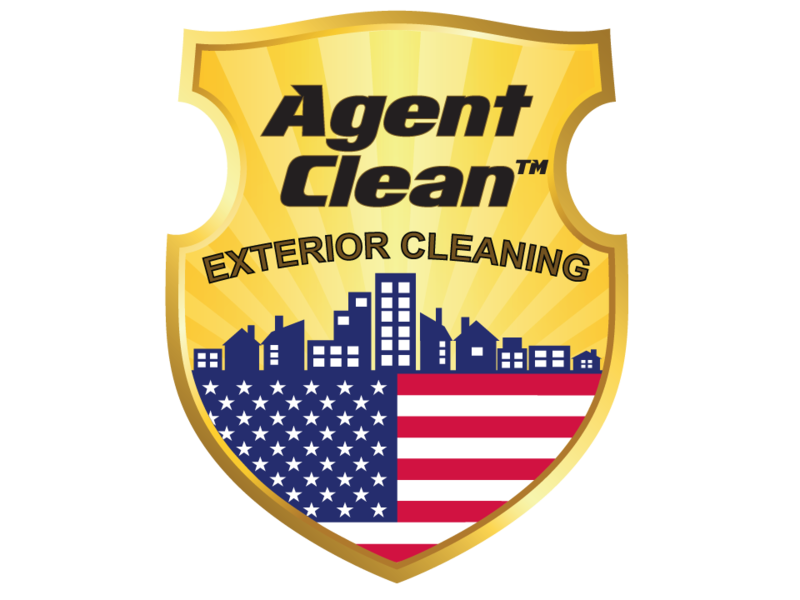 Let Agent Clean protect and beautify all windows, roofs and exterior surfaces. Trust the exteriors of your entire complex to the power of Agent Clean. In a place where upkeep is vitally important, we’ll maintain the value of your exteriors and keep them looking like new. Believe us, playground cleaning is a necessity. When thinking of unsanitary places, public restrooms, port-o-potties, and high traffic public areas come to mind. However, according to a hygiene surface test conducted by the International Journal of Environmental Health Research, 44 percent of playground surfaces tested positive for urine, feces, mucus, saliva, and other blood-borne pathogens. Surprisingly, just 25 percent of public restrooms tested positive. Unbeknownst to many, playground equipment is at the top of the list for carrying high levels of germs, bacteria, and disease. At Agent Clean, we take playground cleaning seriously. The safety and well-being of children is our number one priority. 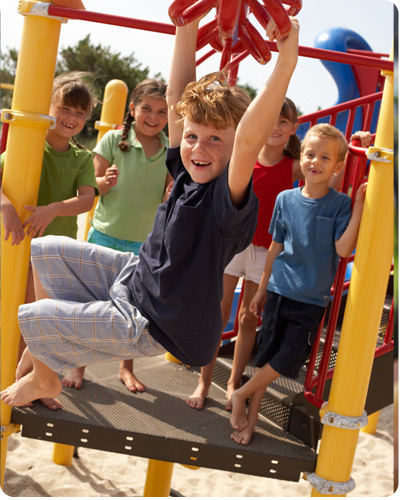 We specialize in playground cleaning, playground sanitation, and we focus on cleaning all those hard-to-reach places. Our services are designed to enhance playground safety while protecting your substantial investment and reducing your exposure to liability. 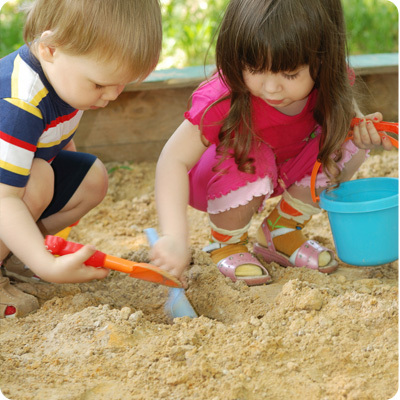 Did you know that sandbox sand can be cleaned? Well, it can. It can be sanitized too. In public and private outdoor recreation areas, good sand quality for soft fall surfaces and playgrounds is necessary and important. Clean, litter-free sand can prevent injuries and illness, reduce the risk of litigation, and ensure a positive experience for communities and constituents. Agent Clean utilizes a two-step process: 1) Sand sifting, and 2) Sand sanitizing to ensure a safe, debris- and contaminate-free environment. What’s more, our sand cleaning services are just one-tenth the cost of removing and replacing existing dirty sand. We can even provide a regularly scheduled maintenance plan so you don’t have to worry about lapses in cleanliness. What about picnic area and park cleaning? 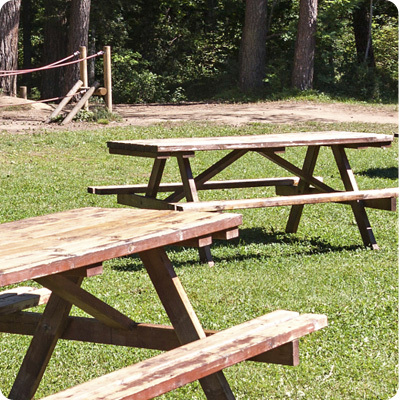 If you are concerned about bacteria, germs or dirt associated with highly used picnic areas, our experienced team can remove the grime, dirt and any harmful bacteria by using only the best products along with the best in softwashing & pressure washing techniques to improve the appearance of your sidewalks and/or picnic areas. Contact us about playground sanitation today.